Jess has broken up with Fred, though really she is waiting for him to come to her door and beg to get back together again. But is that the sort of thing Fred would do? He has said himself that he has no backbone . . . Meanwhile, a gorgeous boy has moved in next door and, to Jess’s mingled horror and delight, is making it very, very obvious that he would like to be a lot closer than next door . . . Surely, now, Fred will be driven, in a fit of jealousy, to sweep Jess back off her feet? 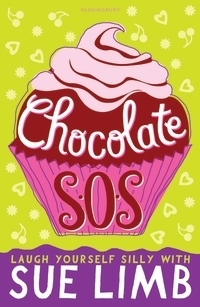 Chocolate SOS is on our UKYA Top 100 list. Categories: England, Humour, Romance | Tags: Sue Limb | Permalink.